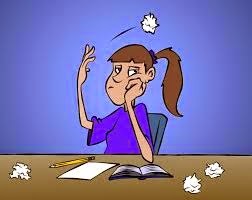 Can Hard Work Make You a Good Writer? Haruf died on November 30 of this year at the age of 71. It wasn’t until he was 40 that he got his work published. He modestly said that it took him that long to get good enough to be published. If you’ve been meaning to work on your writing skills, the library is here to help. Starting in January, BPL will offer free poetry writing workshops for adults twice a month, on first and third Tuesday evenings from 6:00 to 8:00 p.m. in the Storycastle of the downtown library. The sessions will be led by two instructors with impressive credentials, Tina Mozelle Braziel and Alicia Clavell. They will take turns teaching the workshop. Tina has extensive experience teaching creative writing including directing the Ada Long Creative Writing Workshop for high school students at the University of Alabama in Birmingham each summer. She earned her MFA in poetry from the University of Oregon. Alicia is currently a full-time instructor in Business Communications at UAB. She is also working on a Ph.D. in English with a concentration in poetry writing from Georgia State University. As a service to the community, the Birmingham Public Library provides some copies of current Federal and Alabama tax forms, instructions, and publications. The following forms/booklets are available at most library locations: Federal - 1040, 1040A, and 1040EZ forms only; State - 40 and 40NR forms and instruction booklets. All other forms and instructions can be found online at IRS.gov. Internal Revenue Service (IRS) - This governmental site has United States federal income tax forms, information, and tips. Includes warnings about tax frauds and scams, information about filling online, and the ability to track the status of your refund. Yahoo! 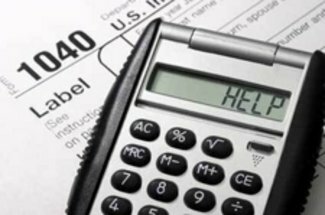 Finance: Tax Center - Tax forms, estimators, calculators, preparation, guides, tips, terms, calendars, rates, rules, news, and state tax profiles. Includes a basic "Beginner's Guide" for those new to preparing U.S. taxes. Free File Home: Your Link to Free Online Filing - This IRS site is about Free File, an "online tax preparation and electronic filing through a partnership agreement between the IRS and the Free File Alliance, LLC. In other words, you can e-file... free." This site explains eligibility requirements for this free service, steps to get started, and a list of related FAQs. Free Tax Return Preparation For You by Volunteers - Information about the Internal Revenue Service Volunteer Income Tax Assistance (VITA) Program and the Tax Counseling for the Elderly (TCE) Program, which "offer free tax help if you qualify. ... In addition to free tax return preparation assistance, many sites also offer free electronic filing (e-filing)." Impact Alabama will again be providing free tax preparation services during the 2014 tax season for households earning less than $50,000 a year with one or more children or $20,000 a year without children. You must call 1-888-99-TAX-AL (1-888-998-2925) for an appointment; no walk-ins will be assisted. Impact Alabama is sponsored by SaveFirst. Monday, January 12: 10:00 a.m.-2:00 p.m.
Thursday, January 15: 10:00 a.m.-2:00 p.m.
Monday, January 19: 10:00 a.m.-12:00 p.m.
Tuesday, January 20: 12:00-6:00 p.m.
Saturday, January 24: 9:00 a.m.-3:00 p.m.
Monday, January 26: 12:00-6:00 p.m.
Tuesday, January 27: 12:00-6:00 p.m.
Saturday, January 31: 9:00 a.m.-3:00 p.m.
Monday, February 2: 12:00-8:00 p.m.
Tuesday, February 3: 12:00-8:00 p.m.
Saturday, February 7: 9:00 a.m.-3:00 p.m.
Monday, February 9: 12:00-8:00 p.m.
Tuesday, February 10: 12:00-8:00 p.m.
Saturday, February 14: 9:00 a.m.-3:00 p.m.
Monday, February 16: 12:00-8:00 p.m.
Tuesday, February 17: 12:00-8:00 p.m.
Saturday, February 21: 9:00 a.m.-3:00 p.m.
Monday, February 23: 12:00-8:00 p.m.
Tuesday, February 24: 12:00-8:00 p.m.
Saturday, February 28: 9:00 a.m.-3:00 p.m.
Monday, March 2: 12:00-8:00 p.m.
Tuesday, March 3: 12:00-8:00 p.m.
Saturday, March 7: 9:00 a.m.-3:00 p.m.
Monday, March 9: 9:00 a.m.-4:00 p.m.
Wednesday, March 11: 9:00 a.m.-4:00 p.m.
Monday, March 16: 9:00 a.m.-4:00 p.m.
Wednesday, March 18: 9:00 a.m.-4:00 p.m.
Monday, March 23: 9:00 a.m.-4:00 p.m.
Wednesday, March 25: 9:00 a.m.-4:00 p.m.
Monday, March 30: 9:00 a.m.-4:00 p.m..
Wednesday, April 1: 9:00 a.m.-4:00 p.m.
Monday, April 6: 9:00 a.m.-4:00 p.m.
Wednesday, April 8: 9:00 a.m.-4:00 p.m.
Saturday, April 11: 9:00 a.m.-3:00 p.m.
Monday, April 13: 9:00 a.m.-4:00 p.m.
Wednesday, April 15: 9:00 a.m.-4:00 p.m.
Thursday, January 22: 12:00-6:00 p.m.
Saturday, January 24: 9:00 a.m.-5:00 p.m.
Thursday, January 29: 12:00-6:00 p.m.
Saturday, January 31: 9:00 a.m.-5:00 p.m.
Tuesday, February 3: 12:00-6:00 p.m.
Thursday, February 5: 12:00-6:00 p.m.
Saturday, February 7: 9:00 a.m.-5:00 p.m.
Tuesday, February 10: 12:00-6:00 p.m.
Thursday, February 12: 1:30-6:00 p.m.
Saturday, February 14: 9:00 a.m.-5:00 p.m.
Tuesday, February 17: 12:00-6:00 p.m.
Thursday, February 19: 1:30-6:00 p.m.
Saturday, February 21: 9:00 a.m.-5:00 p.m.
Tuesday, February 24: 12:00-6:00 p.m.
Thursday, February 26: 1:30-6:00 p.m.
Saturday, February 28: 9:00 a.m.-5:00 p.m.
Friday, January 23: 11:00 a.m.-5:00 p.m.
Monday, January 26: 11:00 a.m.-5:00 p.m.
Friday, January 30: 11:00 a.m.-5:00 p.m.
Monday, February 2: 11:00 a.m.-5:00 p.m.
Friday, February 6: 11:00 a.m.-5:00 p.m.
Monday, February 9: 11:00 a.m.-5:00 p.m.
Friday, February 13: 11:00 a.m.-5:00 p.m.
Monday, February 16: 11:00 a.m.-5:00 p.m.
Friday, February 20: 11:00 a.m.-5:00 p.m.
Monday, February 23: 11:00 a.m.-5:00 p.m.
Friday, February 27: 11:00 a.m.-5:00 p.m.
Monday, March 2: 11:00 a.m.-5:00 p.m.
Friday, March 6: 11:00 a.m.-5:00 p.m.
Friday, January 23: 12:00-6:00 p.m.
Wednesday, January 28: 12:00-6:00 p.m.
Friday, January 30: 12:00-6:00 p.m.
Wednesday, February 4: 12:00-6:00 p.m.
Friday, February 6: 12:00-6:00 p.m.
Wednesday, February 11: 12:00-6:00 p.m.
Thursday, February 12: 12:00-6:00 p.m.
Friday, February 13: 12:00-6:00 p.m.
Wednesday, February 18: 12:00-6:00 p.m.
Thursday, February 19: 12:00-6:00 p.m.
Friday, February 20: 12:00-6:00 p.m.
Wednesday, February 25: 12:00-6:00 p.m.
Thursday, February 26: 12:00-6:00 p.m.
Friday, February 27: 12:00-6:00 p.m.
Wednesday, March 4: 12:00-6:00 p.m.
Thursday, March 5: 12:00-6:00 p.m.
Friday, March 6: 12:00-6:00 p.m. The Birmingham Chapter of the Association for the Improvement of Minorities in the IRS are providing this program. It is a VITA program. The Volunteer Income Tax Assistance (VITA) program offers free tax help to people who generally make $53,000 or less, persons with disabilities, the elderly, and limited English speaking taxpayers who need assistance in preparing their own tax returns. IRS-certified volunteers provide free basic income tax return preparation with electronic filing to qualified individuals. The IRS recommends participants review this publication http://www.irs.gov/file_source/pub/irs-pdf/p3676bsp.pdf for the services these volunteers provide and this link http://www.irs.gov/Individuals/Checklist-for-Free-Tax-Return-Preparation for all the required documents and information needed by the volunteers. Saturday, January 24: 10:00 a.m.-2:00 p.m.
Saturday, March 21: 12:00-2:00 p.m.
We’re fast approaching the New Year and everyone is probably considering New Year’s resolutions. 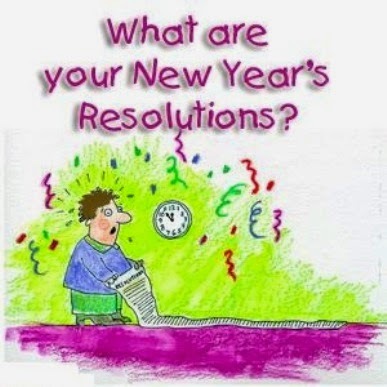 Many of my resolutions have been one of the following: healthier eating “dieting,” improving my personal finances, and trying to travel more. The resources I’ve found may help you do all of this and more. Here’s wishing you a Happy New Year and good success in keeping your New Year’s resolutions. I really like this website; it’s just full of resolution ideas. Take a look at this website, it has something for everyone. I’m not 55 yet, but this is one of my go-to websites. Check out the health, money and travel pages. Get a head start on your New Year’s resolutions on their ReNew Year Life Reimagined page and if you qualify, enter the sweepstakes. Great website if you want to travel but stay in-state. Offers a Christian based approach to managing your personal finances and you can set a financial goal for 2015. This is a good website for trip ideas and travel information. This website is created by the USDA. It has tips about weight loss, counting calories and proper nutrition. Although Suze does advertise her books, dvds, etc…check out her Resource Center page which gives lots free information. It isn't surprising that Birmingham's metropolitan area is number 3 in the amount of charitable giving since Birmingham has a rich history of generosity. As an example of that generosity, one of my favorite heroines, Roberta Morgan, was a woman who contributed greatly to Birmingham's charity community in the early twentieth century. She worked with the local and national Red Cross, helped establish Birmingham's Community Chest (United Way), and was involved in several social work projects during the Great Depression. In 1928, Morgan took part in the Birmingham Association of Social Workers Confidential Exchange. This group set up a Christmas Exchange Committee to coordinate several organizational groups efforts to provide Christmas presents for those who had no means to have a Christmas otherwise. 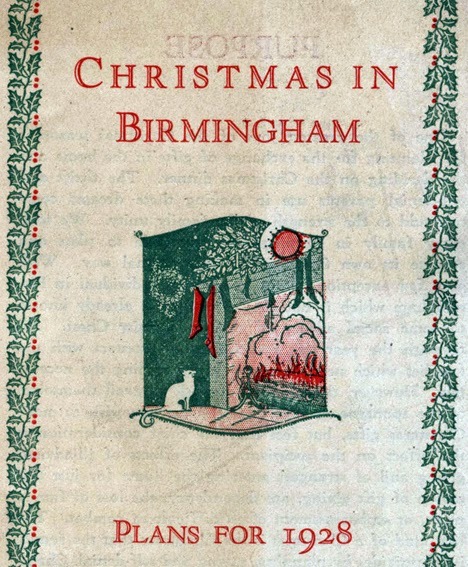 A brochure detailing Christmas needs in 1928 is available to view as part of the library's online digital collection. Take a look at the coordination and detail put together by the Christmas Exchange to make sure needy families in Birmingham were able to enjoy Christmas. As a Birmingham native, I'm thankful and happy to know that my community still cares for those in need. Warm Up America is an organization that pairs America’s knitters and crocheters with people who need warm blankets or accessories during the cold months of the year. The Coffee, Conversation and Crafts group at the Springville Road Library will be working together to crochet and knit caps, afghans, scarves, etc., for local charities to pass along to people in need. We’ll begin by stitching 7” x 9” blocks, which we’ll then join to form complete afghans. There will be written patterns available, as well as instructions and templates. If you already crochet or knit, please join us! If you don’t know how, but would like to learn, we invite you to come and we’ll teach you. Hands on instruction will be provided free, as well as yarn, crochet hooks, and needles. If you have your own scraps and notions, you are welcome to bring them along, too. It’s a great way to use up scraps of yarn left over from previous projects, and making the blocks is excellent practice for the beginning crafter. Our group of fun loving women (and men) meet every Monday from 11:00 a.m. to 1:00 p.m. in the meeting room at the Springville Road Library. We always have crafts to work on, coffee and snacks to enjoy, and lots of folks to chat with as you work or just visit. You don’t have to work on the featured craft, you can bring you own project or just sit back and enjoy the company. For more information, see the Springville Road Library Facebook page or call Kelly Laney at 226-4083. Southern History Department's Book of the Month: Christmas With the Washingtons: Being a Special Account of Traditional Rites Observed in Virginia . . . Being a Special Account of Traditional Rites Observed in Virginia . . .
Not many modern readers would associate George Washington with Christmas. 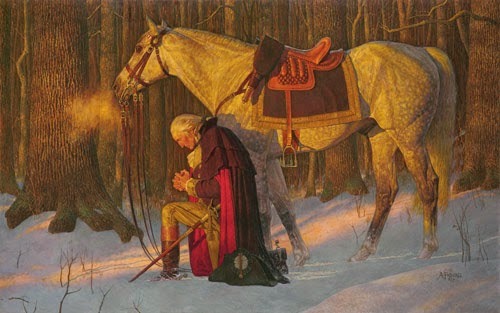 If we think of Washington in winter, we’re more likely to remember the painting of the General praying in the snow at Valley Forge. But Olive Bailey’s delightful Christmas with the Washingtons gives us a look at the Christmas season of the late 18th century in America and how it would have been celebrated by the upper classes at such manors as Belvoir, Westover, and—of course—Mount Vernon. Far from limiting herself to Washington the President and Founding Father, Bailey starts with young George and tracks him through various Christmases, explaining as much as the historical record allows of where and how he spent them. As a young man in 1751, Washington was on the deck of the ship Industry in the seas around the Barbadoes and his Christmas dinner consisted of “Irish goose which had be[en hung] for the purpose some Weeks.” Definitely not our idea of a dinner that would be cleared by the Health Department. Yet Washington survived this holiday offering, not to mention many another that would cause a modern nutritionist to exclaim in dismay. As I read through this brief book (less than 50 pages) I had to wonder if the memory of the sufferings and deprivations of Valley Forge gave extra relish to some of the dishes Washington encountered later in his career. Our 21st century dietary habits are the impetus for many a New Year’s resolution to start a diet, but compared to the partygoers of the late 1700s, we are the rankest of amateurs in the field of excess. One has only to read the recipe for Martha Washington’s “Great Cake,” which begins with “Take 40 eggs & divide the whites from the yolks” and calls for “4 pounds of butter,” to have an attack of indigestion without eating a mouthful. But the book is not just about the food of the era. Bailey vividly describes the sights and sounds of the Christmas celebrations in progress: “Once again they heard the carefree, unrestrained sounds of Christmas—pistol shots (! 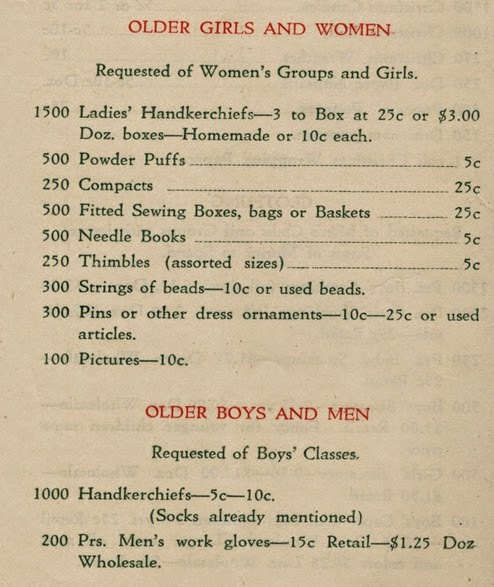 ), firecrackers, rousing song . . .” There are lists of toys, books, and other gifts for children, many of which had to be ordered from London. Think of the time that would pass between sending the order and actually receiving the items, and then compare that to our era of ordering online with next-day delivery. I had never thought of George Washington as a “festive” person. Many of his portraits, especially in later life, are rather grim-looking, and Bailey does tell us that “as Washington grew older he took to writing letters on Christmas Day. Could it be his study was a quiet stronghold against the numerous loquacious guests?” Mount Vernon was apparently a pivot of social life in Virginia in those days, to the point where Washington lamented that it had become like a “ ‘well resorted tavern’! No wonder General and Mrs. Washington formed the habit of retiring to their apartments early—it was probably the only opportunity to talk of their own affairs.” But I did find that this book added some lively color to that segment of American history for me. And after reading some of the recipes in this book, no one need feel too guilty about indulging in a few seasonal treats. Happy Holidays! 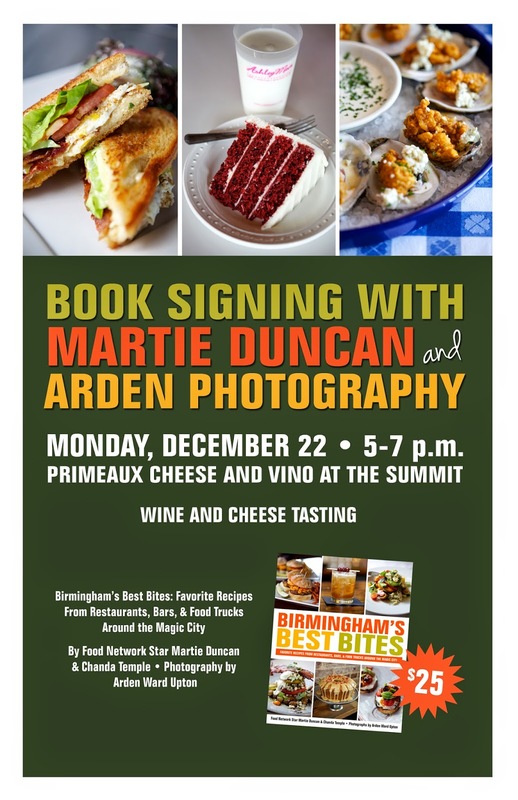 Food Network Star finalist Martie Duncan, Arden Photography, and Chanda Temple will sign copies of the new Birmingham's Best Bites cookbook during a wine and cheese tasting event at Primeaux Cheese & Vino at the Summit on Monday, December 22, 5:00 to 7:00 p.m. Primeaux is located next to Pottery Barn Kids. Duncan says Monday's event is not only a good time to get a copy of the book, but to also learn about which wine and cheese pairings are ideal for those last-minute holiday gatherings. Paul and Deborah Primeaux, owners of the Primeaux and Dixie Fish Co., said they are excited about the book, Monday's event and supporting the library. Book proceeds benefit the library. The book, which is a Birmingham Public Library fundraiser, can be found in the following locations: the downtown library's bookstore, the Fish Market's Southside location, Bromberg's in Mountain Brook and at the Summit, Little Savannah Restaurant and Bar on Clairmont Avenue, Ashley Mac's in Inverness on Valleydale Road, and Roberts Cuisine in Titusville. The books are $25. 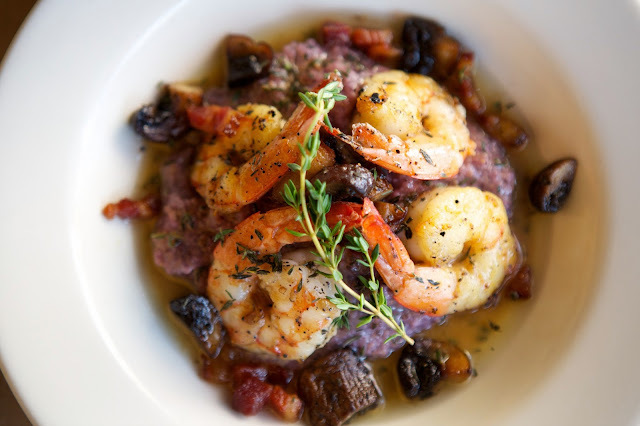 The book features more than 80 recipes from more than 60 restaurants in the Birmingham area. Arden Ward Upton and Mo Davis took photos for every recipe. Temple, director of public relations for the Birmingham Public Library, contributed stories for the book. Many of you have completed or nearly completed your holiday shopping. I wanted to get this information out sooner, but I was too busy adding items to my shopping cart. I was clicking so fast that I’ve had to return some items BEFORE Christmas. For those of you who are still Christmas shopping, here is my advice on holiday gift-giving. Tip 1: No toy stores. Small children like a LOT of Christmas presents to open but that doesn’t mean they have to come from expensive toy stores. They will quickly reach the age where they start requesting brand names. In the meantime, you can get a ton of new stuff for them to play with at dollar stores and closeout stores. Just make sure the toys are age-appropriate or you’ll be spending Christmas in the emergency room. Tip 2: Don’t buy gifts for people you don’t like. This is your hard-earned money we’re talking about. You don’t like [fill in the blank] 364 days of the year, so why are you buying him/her a Christmas present. Merry Christmas will suffice. Tip 3. 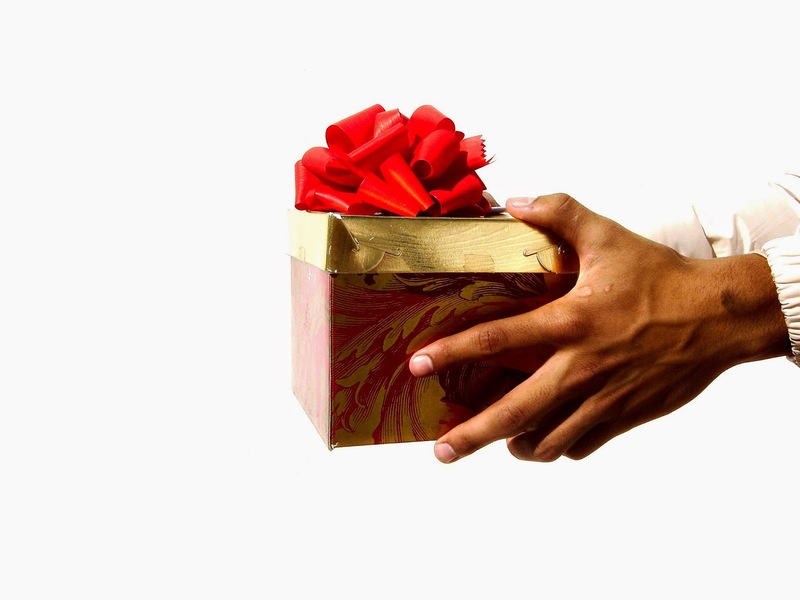 Set limits on gift-giving. Dear Mr. & Mrs. 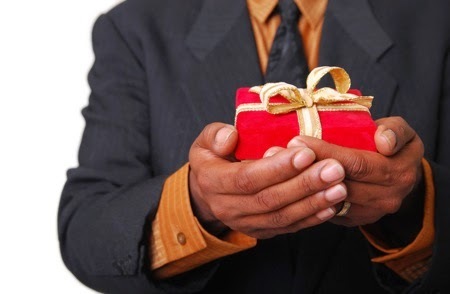 Generosity, I know your third cousin’s family enjoys getting gifts from you every Christmas, but you’re not a bad person if you pare down your expenses and buy gifts for fewer people. Many large families pull names and some only buy gifts for immediate family. You may be closer to your third cousin than your siblings, but you understand what I mean. Tip 4. Give love on Christmas Day. Johnny Gill is right. The season is about the birth of Jesus Christ, love, and all that good stuff. Try this with your family. Give out warm hugs, say Merry Christmas and I love you, then run when they find out you didn’t buy them anything! Tip 5. Don’t believe the media hype. If your Christmas resembles anything like the elaborate celebrations in commercials, PLEASE invite me over. Television tries to make us believe that the more we spend, the happier we’ll be. Those folks are paid to look happy and that stuff is not real. I know what you’re thinking. I’m Scrooge. Bah! Humbug. Have a wonderful Christmas and a Happy New Year! As you read the title of this blog post, you may have exclaimed, “What does Birmingham have to do with the song, 'Have Yourself A Merry Little Christmas' and Judy Garland?” This song made its debut in the 1944 classic musical, Meet Me in St. Louis, which starred Judy Garland and contained several songs written by Birmingham native, Hugh Martin. The song, "Have Yourself A Merry Little Christmas", went on to become a hit and a Christmas favorite. 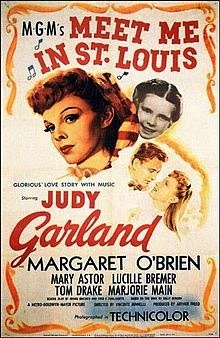 What you might not know is that the lyrics were changed as Judy Garland deemed them too sad. Next year we will all be living in New York. Faithful friends who were dear to us, will be near to us no more." Our troubles will be miles away." Hugh Martin expands upon this story in his memoir, Hugh Martin: the Boy Next Door. Watch Judy Garland's performance of "Have Yourself A Merry Little Christmas" from Meet Me in St. Louis. If you liked this Christmas story and its little known connection to Alabama, you have to check out Christmas Tales of Alabama by Kelly Kazek. This book tells of Helen Keller’s first Christmas, why Truman Capote wrote A Christmas Memory, history of white Christmases in Alabama, and many more delightful stories. This year marks the 70th anniversary of the Battle of the Bulge (also known as the Battle of the Ardennes). Fought December 16, 1944-January 16, 1945, this was the last significant German assault against the Allies in World War II. Hitler’s plan had two objectives: to capture the port city of Antwerp, Belgium, and in doing so split in half General Dwight Eisenhower’s forces; and to destroy four Allied armies located between Bastogne, Brussels, and Antwerp. Early in the morning of December 16, 1944, the Germans surprised the Allies in the fog, cold, and snow along a 75-mile front in the Ardennes Forest. The surge of German forces created the “bulge” in the front line as the three Allied divisions positioned there pulled back. From December 17-22, the allies held back the Germans while reinforcements arrived. December 23 brought good weather, and the Allies began attacking by air. Some American troops were surrounded in the city of Bastogne until December 26 when it was relieved by General George Patton. Fighting continued until the Germans began a withdrawal on January 8. The original front line was reconstructed by January 25. Hitler did not have the material, manpower, or resources to mount another large-scale attack. The Allies suffered casualties of approximately 80,000; the Germans’ losses were approximately 100,000. The countdown continues—only a few more days until the jolly man in red comes around. But guests will be popping in your home many times before the big day. (By guests I mean the human kind, not those spunky jingle-bell elves.). Does your home say “HoHoHo” or “Bah, Humbug”? No one wants to be a Scrooge around the holidays. Check out these featured items in the Arts, Literature, & Sports Department so your home and everyone in it will be feeling the festivities. Holiday Crafting & Baking with Kids: Gifts, Sweets, and Treats for the Whole Family! This week marks the 75th anniversary of the premiere of David O. Selznik’s Gone with the Wind, a film that these many years later remains a mainstay in American popular culture. 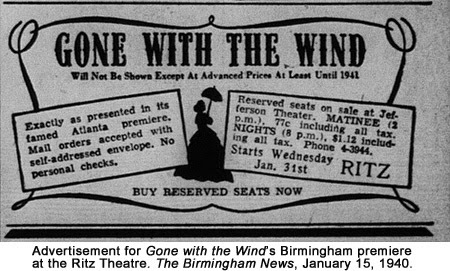 To commemorate the anniversary of the movie’s release, the Birmingham Public Library’s webmaster and the Department of Archives and Manuscripts created the digital collection Gone with the Wind and Back Again: Birmingham and an Indelible American Film. Made up of newspaper articles, an illustrated Gone with the Wind program, and letters from Gone with the Wind author Margaret Mitchell to former Birmingham mayor George Ward, this collection highlights a number of connections between Gone with the Wind and the Magic City while also placing these documents and the film itself in their broader historical and cultural contexts. Every December, my sister-in-law sends her brother and me a year’s summary of her Bad Girls Book Club selections. Their choices have served me well in my reading, and sometimes they have chosen my recommendations as well. These women are serious readers, but perhaps not so “bad.” They are “bad” in the sense of “awesome” as they seek literary fiction and engage in in thoughtful, rigorous, and lively discussion. Being a “bad” boy, I would have to be a fly on the wall to actually attend. Knowing three of them well, I am certain that I am missing out on interesting discussions and fabulous food and libations. Nonetheless, we can all partake of their excellent and inviting selections. 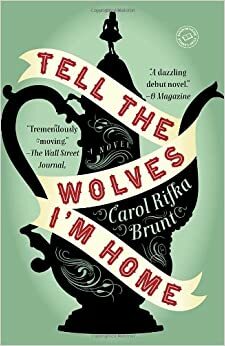 An almost 800-page Dickensonian tale of love, identity and art; beautifully written and hard to put down. 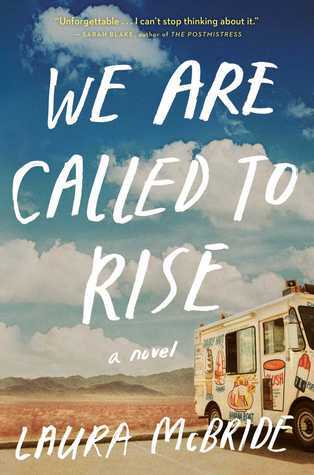 Set in India and America and beginning in the 1960s, this is the unforgettable story of two brothers and a country torn apart by revolution. 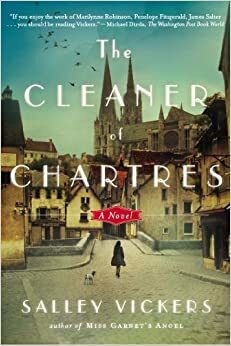 Historic fiction set in the 1900s in New York City. This is a love story set at a Coney Island freak show and at the infamous Triangle Shirtwaist Factory. Set in a tiny village in England. After a tragic accident, a very successful young man becomes a quadriplegic. An ordinary girl from the village comes to care for him. Beginning in 1803, this is the story of two young girls in Charleston. One is an urban slave; the other is from a wealthy, aristocratic family. 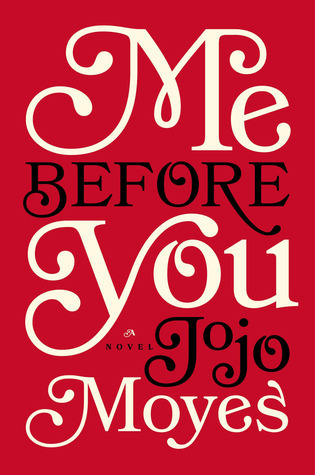 Set in 1987, the story of a 14-year-old girl and her relationship to an adored uncle who dies of a disease her mother can barely talk about. Set in modern Los Vegas, a story about how even the smallest things we do have meaning. 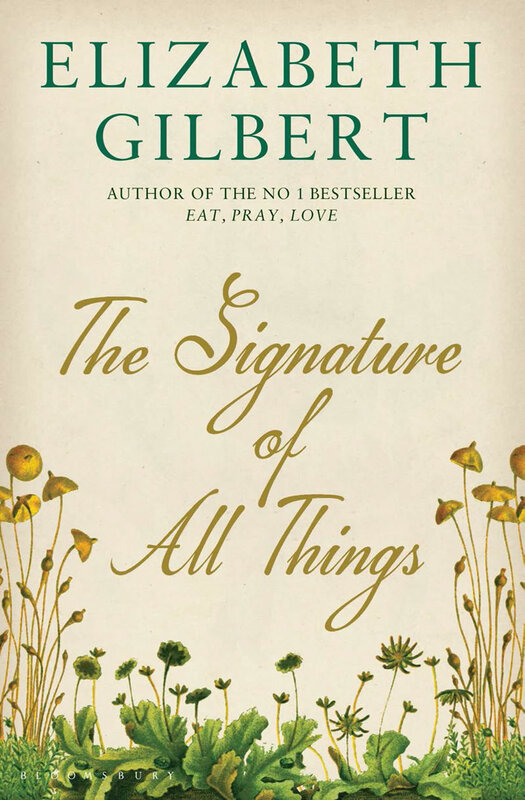 Set in the 1800s, this beautifully written novel includes history, botany, love, and magic. To learn more about online and local book groups, visit here. 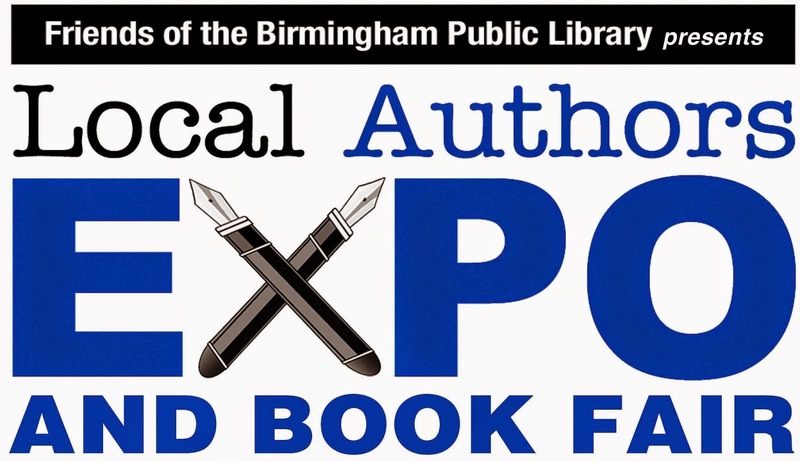 Registration has begun for the 2015 Local Authors Expo & Book Fair at the Birmingham Public Library. This annual event provides an opportunity for authors from the Birmingham area to meet the reading public, autograph books, and network with other writers. The Expo will be held at BPL's Central Library at 2100 Park Place, Birmingham, Alabama, on Saturday, February 7, from 9:00 a.m. to 3:00 p.m. The event is free for the public, but registration is required for authors who wish to promote and autograph their books. In addition to hosting up to 100 authors at this year's event, there will be presentations open to the general public: At 10:00 a.m., local author and attorney Keith Lee (The Marble and the Sculptor: From Law School to Law Practice) will speak about the legal aspects of publishing. At 1:00 p.m., UAB professor and author Marie A. Sutton (The A.G. Gaston Motel in Birmingham: A Civil Rights Landmark) will speak about writing on historical subjects. The registration fee is $5. For an idea of what to expect, browse our photos of the 2013 Expo. For the general public to attend, no registration is required. I read an interesting article in The Wall Street Journal about the meaning of various movie production logos. 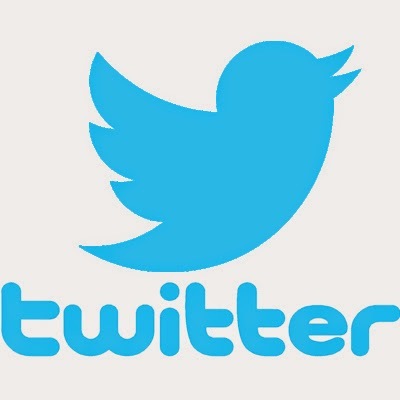 Older companies have recognizable logos that have been around for years. Some are simple while others are complex. If the logo is confusing, moviegoers and investors might not understand the message the production company wants to express. When I see the Disney, MGM, or Lionsgate logos appear at the beginning of a movie, I think I am in for a visual treat. 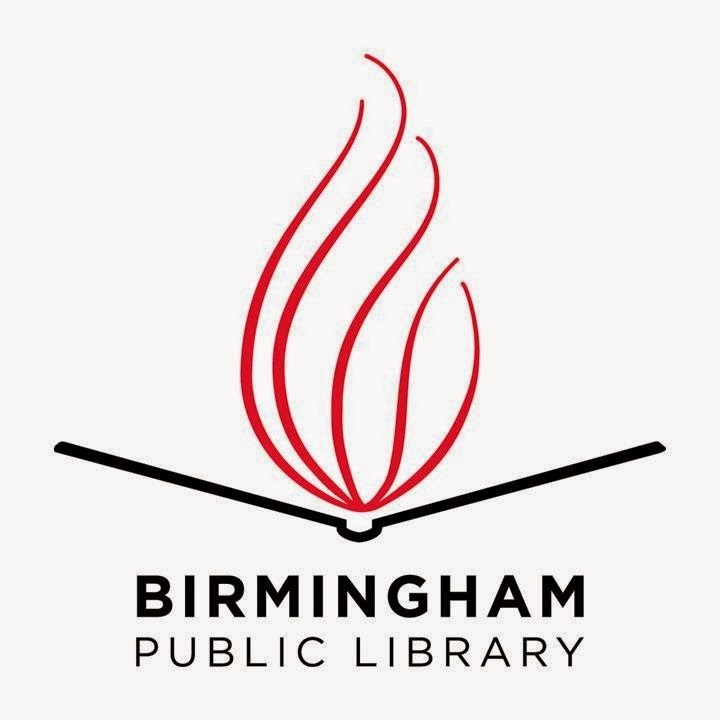 I thought about the Birmingham Public Library logo. It is a simple design reminding us that books are a great source of information. The glowing flame of knowledge emerging from the book tells me I can find a variety of resources at the library. The Birmingham Public Library provides great sources of information for the public. Free internet and computer access is critical in today’s society. Every day, patrons conduct online job searching, resume writing, and communicate with friends through e-mail services. Through HomeworkAlabama, Learning Express Library, and the Alabama Virtual Library, patrons can do research and get homework help. The library presents educational and cultural programs as well as provides gathering spaces for public meetings. The library is a quiet place for those who want to play chess, read a magazine, or listen to music through a media device. Finally, everyone can find books, audio/visual materials, e-books, and downloadable books for entertainment and research. 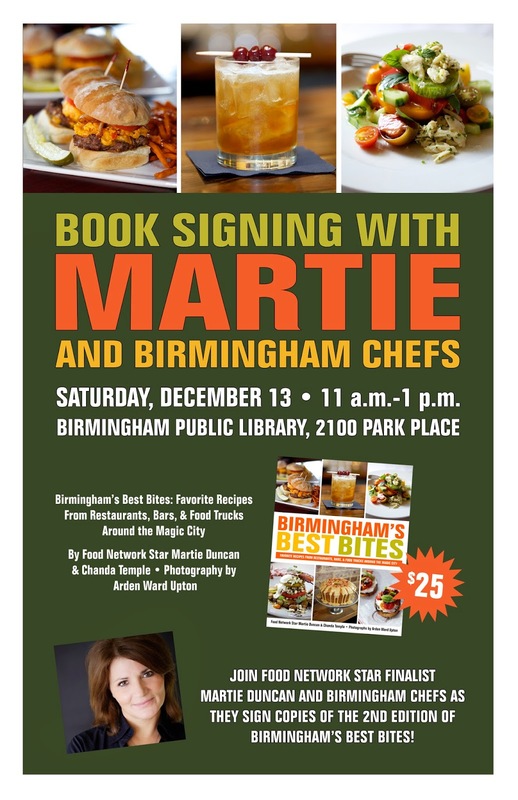 Food Network Star Martie Duncan and several popular Birmingham area chefs will be at the Birmingham Public Library on Saturday, Dec. 13 to sign copies of the new cookbook, Birmingham’s Best Bites: Favorite Recipes from Restaurants, Bars, & Food Trucks Around the Magic City from 11 a.m. to 1 p.m. The book, which features more than 80 recipes from more than 60 area restaurants, is $25. Proceeds will benefit the library. "This is a book that’s giving in so many ways. 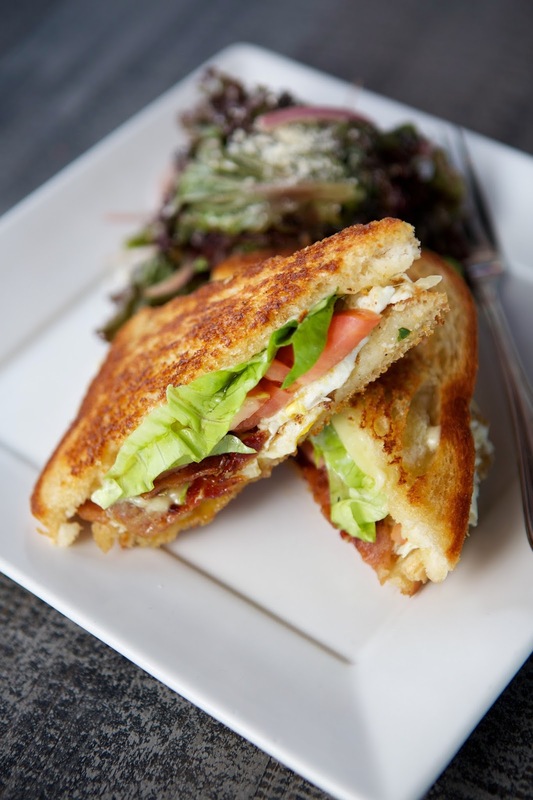 Not only is it creating funds for the library, but it’s bringing attention to our local restaurants," says Duncan. "People who’ve never been to Birmingham, are buying the book. Now they want to come here." Some of people's favorite recipes are in the book like Hot and Hot's Tomato Salad, Ashley Mac’s Mac and Cheese, Dreamcakes Brown Sugar Pound Cake with Bourbon Caramel Glaze and many others. Chefs such as The Fish Market's George Sarris, Little Savannah’s Maureen Holt, The Gardens Café by Kathy G, Primeaux Cheese & Vino's Ric Trent and Chris Vizinna will sign books on Saturday. Refreshments will be served. Duncan says that the book’s color photography, done by Arden Ward Upton and Mo Davis of Arden Photography, is so beautiful, that people will either want to make the recipe or make a reservation. "George Sarris says he’s selling his Cioppino, which is in the book, more than he ever has," Duncan says. Tamara Zeigler bought the book and made the Dreamcakes Brown Sugar Pound Cake for Thanksgiving. She says it was gone in three days. "It was delicious," she says. Says Vizinna: "People who've purchased the book and read it, have commented on the fantastic compilation of recipes from the local restaurants and chefs in the Birmingham area. Everyone's excited that the Birmingham library benefits from sales of the book." Birmingham Public Relations Director Chanda Temple is a contributor to the book, which will be sold on Dec. 13 and will be available at the library's bookstore on the second floor. Have I Read That Book?